Parachute Cord or Para-cord is a light weight nylon kernmantle rope. 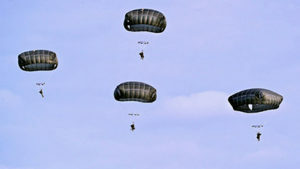 U.S. Military, para-cord is specified by MIL- C-5040H in six types with a minimum breaking strength ranging from 95 lbs. to 750 lbs. We can supply para-cord with no core, or from 4 to 11 core yarns, with up to a 44 strands braided sheath. 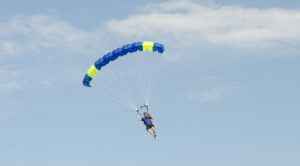 We also manufacture parachute cord for general public using nylon, polyester and hi-tech fibers. Tensile Strength: 200 lbs. to 2000 lbs. 50 lbs. to 20,000 lbs.